The Chinese view 2012 as having started on January 22nd, and the New Year’s celebrations haven’t ended yet! For Westerners, the streamers, balloons, and festivities have been put away for weeks now. In China, however, the festivities don’t end this year until February 6th, where they hold a Lantern Festival to usher in good fortune the year through. The Chinese refer to this time as simply “Spring Festival.” Perhaps the West garnered their idea of “Spring Cleaning” from the ancient Chinese tradition of sweeping clean the entire house, to rid the home of bad spirits accumulated from the previous year. New clothes, items, and stockpiles of food are bought at this time, in order to throw out the old, and welcome in the new. Mainland China isn’t the only country that celebrates the New Year in this way. Taiwan, Singapore, Thailand, Indonesia, Malaysia, the Philippines, and Vietnam all look to the Chinese lunar calendar to calculate when each new year begins, as every year falls on a different day each January. Contiguous across all nations, each New Year is a time of new things, redemption, forgiveness, and starting fresh. So what does the calendar say is in store for a Year of the Dragon? It’s a year for great deeds, large business opportunities, and big projects, according to the Eastern Almanac. And that’s just the beginning. For those traveling to China, or any of the aforementioned countries that celebrate the Chinese New Year, the country welcomes visitors to join in the festivities that take place during the 15-day period where Spring Festival is occurring. 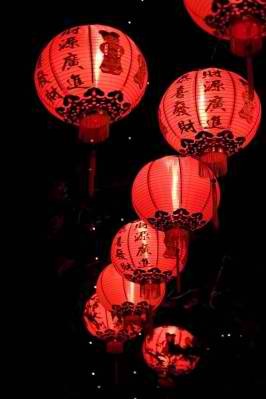 On February 6th, the Festival of Lanterns occurs to fully commemorate the new year coming to fruition. Sweet rice dumplings are eaten on this day, and candles are lighted in house windows to help wayward spirits home. At night, revelers flock the streets with lanterns, winding down the streets where they live. In Malaysia and Singapore, available young ladies combine the Lantern Festival with their version of a Valentine’s Day. They draw their contact numbers on orange slices and throw them downriver, where young men will wait to catch the orange slices of a lady that catches their eye. Sour oranges signify a bitter love, but upon eating the slice of a prospective female mate, and the taste is sweet, tradition holds that good fortune will smile upon the couple. It’s not too late to celebrate the Lunar New Year, though the Western Gregorian calendar states that 2012’s festivities have ended already. 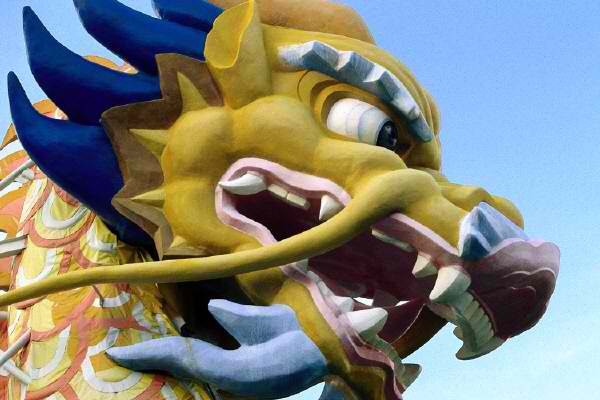 The proper way to dive into the spirit of the Year of The Dragon would be to act boldly, love lavishly, and kindle a fire in your heart for the prospect of new things entering your life at this time.